SHINE is a 4-month mentoring program. 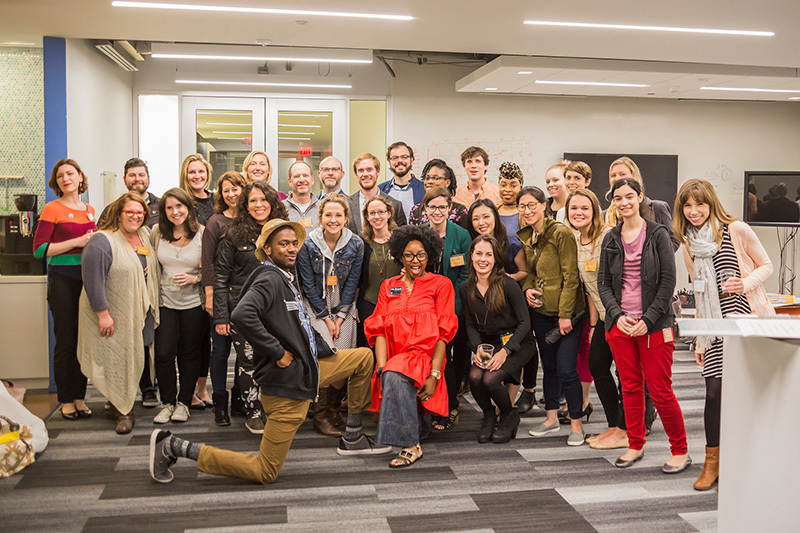 The program matches mentors and mentees around the DC design community looking to connect, challenge each other to grow, and collaborate on a project of their choosing. The program’s 8th year is kicking off in January 2019! Mentors and mentees meet up and work hand-in-hand to identify the mentee’s career goals and aspirations. Before leaving, each pair should have determined a schedule for meeting, and begun brainstorming ideas for their project. Over the next four months, mentors provide advice and guidance; you’ll get as much as you put into this process! At the midpoint, all pairs meet back up to connect over roundtable discussions. SHINE wraps up in May with a celebration and presentation of projects. Mentors should have 5+ years of professional experience. Yes, it’s a 4-month commitment, but you can set the pace, meeting place, and method with your mentee. Mentees should have 1-4 years of experience. The focus of our program is to reach emerging designers who are working in the design field, so we prefer applicants to have finished college or another academic program. Returning mentees will likely not be considered due to the number of new applicants who are eager to have this opportunity. Registration for Mentors and Mentees is now closed, as of December 7. Learn more about how the SHINE and EMERGE programs can help young designers from SHINE founders Dian Holton and Kerri Sarembock.